A trip to Disney World is a hallmark of childhood, and we've been a couple of times (here's my Disney itinerary). With the crazy expensive ticket prices (and general craziness of the park ambience), however, we usually opt to stay outside of the resort and visit the parks for a day or two, just to get a taste. The rest of the time we spend checking out Orlando, which has plenty of other fun activities to offer. Here's what we've done on our past trips. I'm really big on pick-you-own and was excited about visiting Showcase of Citrus in nearby Clermont, where there's more than 50 varieties of citrus for the picking. 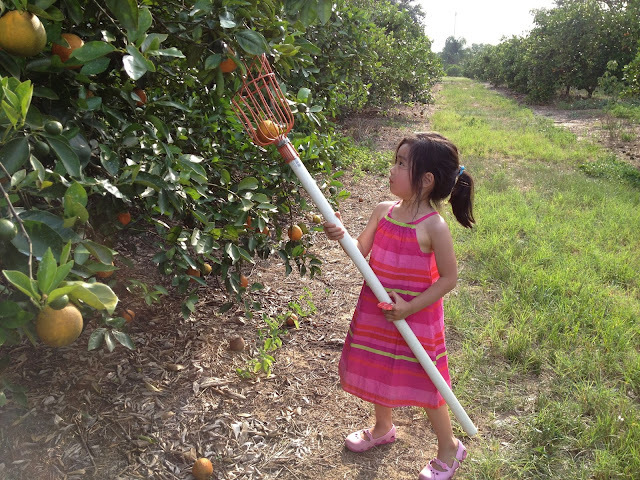 The kids had fun using the special picking tools (oranges can be tough to budge!) and sampling the fresh juice and citrus-flavored goodies at the country store. 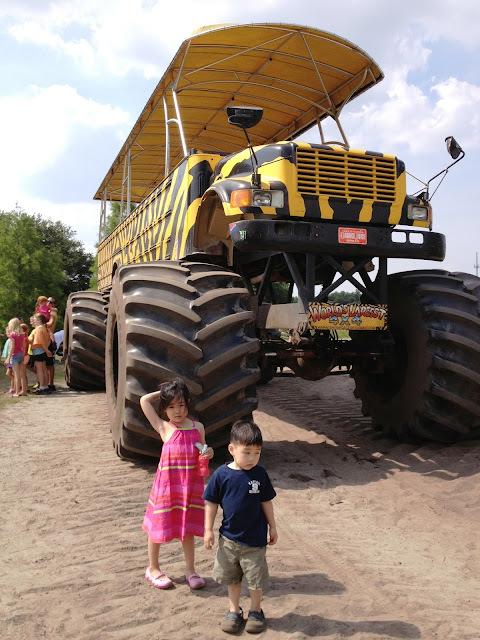 In addition, Showcase of Citrus offers a pretty neat monster truck bus ride, where you have to climb a ladder to get onto the bus! Our tour guide was a nice young guy who let all the kids take a turn "driving" the bus, and they also really enjoyed seeing the cows on the property and tossing them oranges to munch on. Who knew cows liked oranges? There are many opportunities to spy some gators while in Orlando. One is by visiting the amazing Gatorland, where there are alligators and crocodiles of all sizes (some you can pet), shows that are entertaining and educational, and hodgepodge activities like the zip-line and train ride. Another way is to take an airboat ride and see the gators in their natural habitat in Kissimmee, about 40 minutes south of Orlando. There's nothing more thrilling than shooting through the tall grass of the Florida Everglades at high speeds! Because going to Disney is never our top priority in Orlando, we always stay off resort, which can save tons of money. One time we stayed at Caribe Cove Resort, a 10-minute drive from Disney. It may have been the cheapest suite we've ever booked, at about $100 a night! The last time we visited, we were traveling with extended family, so we booked a three-bedroom suite at the more upscale Marriott Lakeshore Reserve. It was really great, with an incredible pool that even included water slides and a lazy river, but it was also more expensive. If you can manage to get away from the theme park dining, there are some some surprisingly excellent restaurants in the Orlando area. Padrino's Cuban Bistro is a fantastic Cuban restaurant serving up some seriously tasty arroz con pollo. And about half an hour north of Disney is the town of Winter Park, where we had a lovely Italian meal of rustic, handmade pasta (pizza for the kids) at Prato, as well as some legit barbecue at 4 Rivers Smokehouse (get the awesome brisket). Disney's not the only theme park in this town. 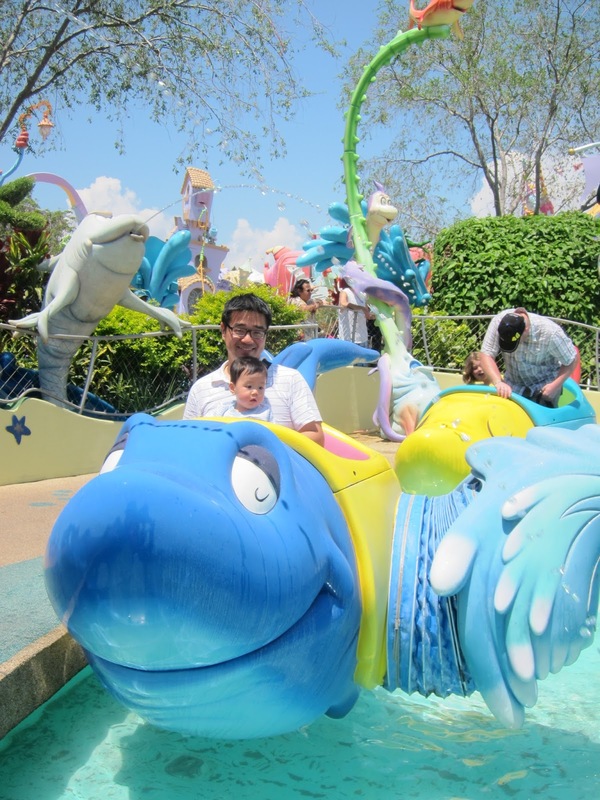 We actually prefer Islands of Adventure, which is perfectly suited for the younger set and has everything from the dinosaurs of Jurassic Park to the Marvel Super Hero Island to a section of rides based on Dr. Seuss's characters. And, of course, Harry Potter World. Even if your kids are too young to know the stories, they can still enjoy a butter beer. About 45 minutes south of Disney World is Legoland. I enjoy this low-key park more than Disney for many reasons: many of the rides (like the Technicycle) are different from the usual theme park fare; in addition to the rides, there are down-time activities, such as touring Miniland or building and racing Lego cars on a timed track; while parents are waiting on lines, kids get to play at nearby Lego stations.